I've found a new favorite food. Spaghetti and meatballs!! I have always loved spaghetti, but the addition of meatballs is new to me. My husband isn't a big fan so this is my go to meal if he's out of town or won't be home for dinner. 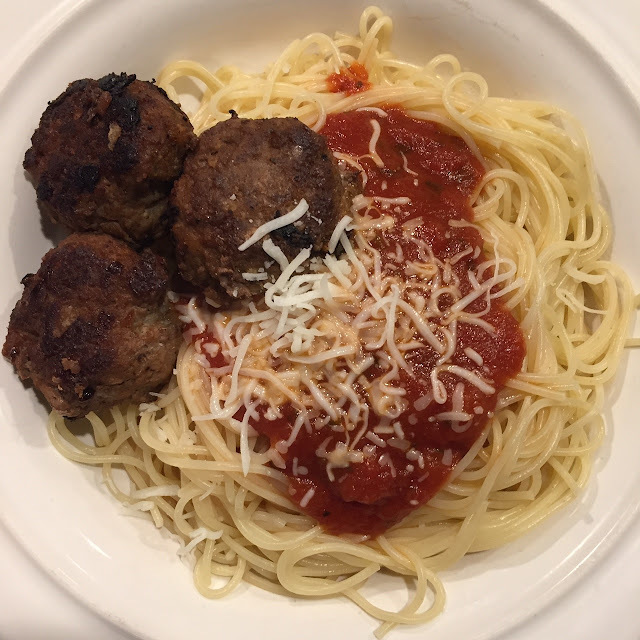 Last week I made up a recipe for meatballs and they were so good. Both of my kids loved them, too. I feel like that's a major mom win when your kids approve of something homemade. 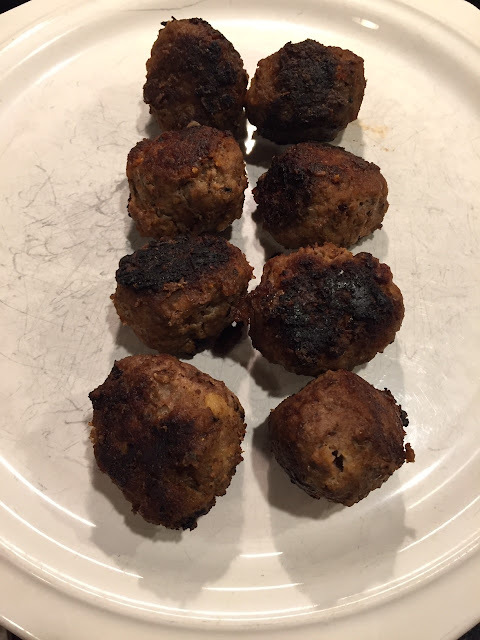 I used to be intimidated to make meatballs, but they were so simple. I used things that I always have on hand. These will definitely be something that I make in bulk and freeze or make at the beginning of the week for us to eat a few different times. I really love cooking for my family. One of my goals for 2019 is to share more practical, delicious recipes that are easy to prepare for your family here on the blog. I cook at least 5 or 6 nights a week so watch out for lots more simple delicious dinners from me. Add all of the ingredients into a big bowl and then mix with your hands. It sounds gross, but it's the best way to really mix everything up. Wash your hands well, put a pan on your stove top to warm up, drizzle in olive oil and then use a cookie scoop to scoop out equal sized meat balls. The cookie scoop makes it so easy. Scoop them into your hand, roll them into a ball and cook on your stove top. Let them sit until they get some good color on them. Rotate until cooked through. Serve over your favorite pasta. They were delicious right away and reheated perfectly. Wouldn't this be a fun meal to make for your Valentine?? These look yummy! I usually buy store bought meatballs, but we love my home made meatloaf!